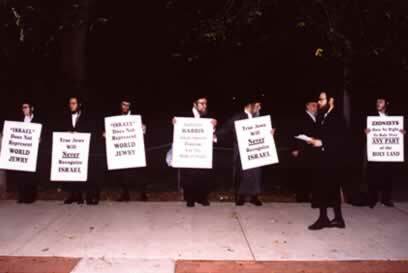 Supporters and members of Neturei Karta demonstrated on the occasion of the visit of Natan Sharansky, a cabinet member in the Zionist government invited to speak at Rutgers University by Rutgers Hillel on September 18, 2003. 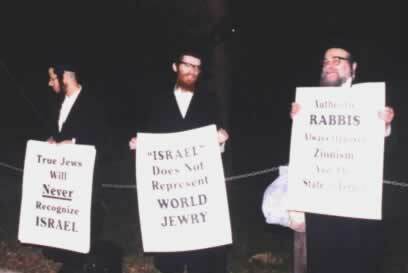 Statement issued by Neturei Karta announcing this demonstration. 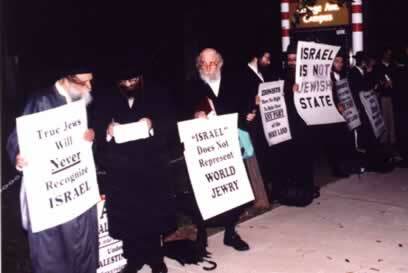 Historical Documents objecting to the creation of the Israeli State. 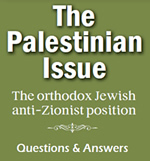 Read the words and listen to the song written by Rabbi Amram Blau while imprisoned by the Zionists. 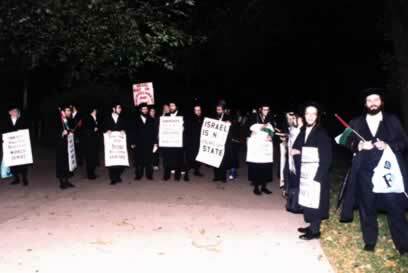 This song is now considered the "Anthem" of Neturei Karta.